Cellular networks are getting faster and faster, which can make data-intensive tasks, such as video streaming, a lot easier over a cellular connection than they were even a few years ago. In many cases, however, Wi-Fi is still faster and more stable. Plus, for most people, there isn’t going to be a high associated cost if you go over any data usage limits that you might hit on a cellular network. 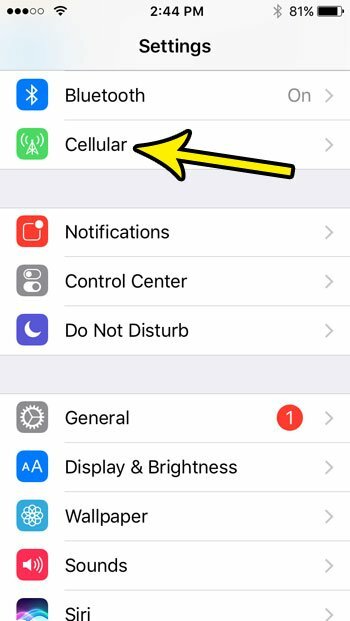 Your iPhone SE has a setting that will let the device intelligently switch to a cellular network if it determines that your Wi-Fi connection is poor. This is great for user experience, as you will be able to stay online more consistently. Unfortunately this can also cause you to use a bit more data than you thought you were using. 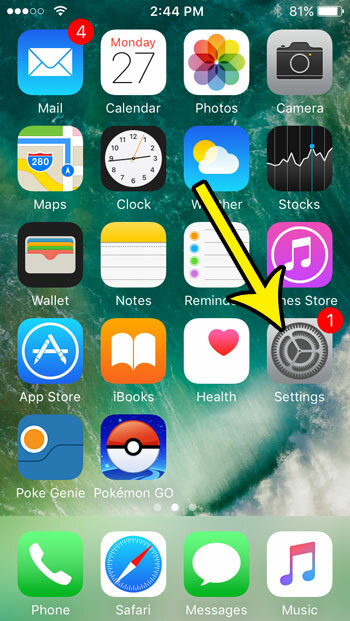 If that data usage is becoming too great for you, then follow the steps in the tutorial below to disable Wi-Fi Assist on your iPhone SE. The steps in this article were performed on an iPhone SE in iOS 10.3.2. 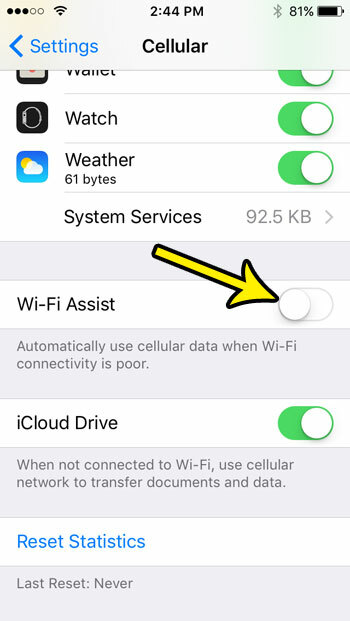 These steps assume that the Wi-Fi Assist option is currently enabled on your device, and that you would like to stop your iPhone from switching to cellular data if it determines that your Wi-Fi connection is bad. Step 2: Touch the Cellular option. Step 3: Scroll to the bottom of the menu and tap the button to the right of Wi-Fi Assist to turn it off. I have disabled the Wi-Fi Assist option in the picture below. Note that this can have a pretty big effect on your experience with the device if you often were forced to cellular networks when Wi-Fi was bad. However, the potential monetary savings from not inadvertently using as much cellular data can be rather substantial. Are you adjusting this setting because you are using too much data? Sometimes turning off cellular data completely might be an option if you are getting a lot of overage charges.